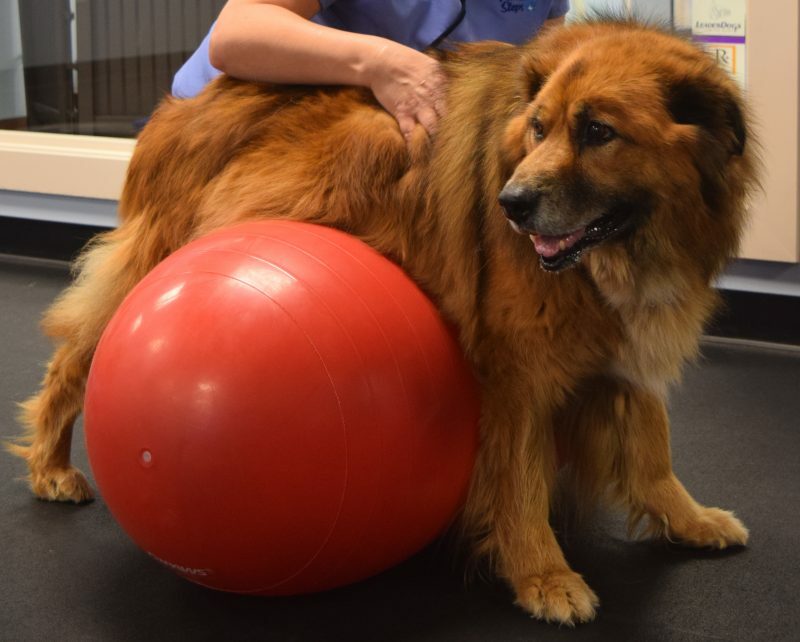 Intervertebral disc disease, or IVDD, is a common condition in the spine that causes back pain, partial loss of function in the limbs, and in more severe cases paralysis and loss of feeling. While the Dachshund is the most notorious breed for this disease, IVDD can occur in any breed of dog. However, it is rarely seen in cats. Let’s explore the canine spine for a moment. The spine is made up of 7 cervical (neck) vertebrae, 13 thoracic (chest) vertebrae, 7 lumbar vertebrae, and 3 sacral vertebrae that are fused together. There are a variable number of coccygeal (tail) vertebrae depending on breed. Between each vertebra is an intervertebral disc, designed to provide cushion between the vertebrae depending on the breed. Each disc is made up of a fibrous outer layer, called the annulus fibrosis, and a gel-like inner layer called the nucleus pulposes. In the dog, the discs are located below the spinal canal and the spinal cord lives in this spinal canal. Now that we know a little bit more about the anatomy of the canine spine, we can get an idea what happens with IVDD. There are two types of IVDD. Type 1 is known as a herniated or slipped disc. Essentially, the gel-like inner layer of the disc suddenly ruptures through the top of the outer layer, which causes sudden compression on the spinal cord. Type 1 is seen more often in small breed dogs with long backs and short legs (ie: Dachshund, Shih Tzu, Basset Hound, etc). IVDD Type 2 is known more commonly as a bulging disc. In this case, the process is slow and gradual. The inner layer of the disc does not suddenly rupture through but progressively bulges, slowly causing pressure on the spinal cord. This type is seen more commonly in larger dogs, such as German Shepherds and Labrador Retrievers. No matter the type, IVDD can occur anywhere along the spine. It is also important to note that the rupture or bulge can affect either side of the spine, which can sometimes manifest in the clinical signs being more “left-sided” or “right-sided”, meaning that one side is weaker than the other. Clinical signs will vary widely in severity depending on the type of IVDD and where it occurred. Symptoms can range anywhere from a wobbly hind limb gait to complete paralysis of the hind limbs. In severe cases, the dog may not have feeling in the hind limbs. In most cases of IVDD, back pain is present, which may be seen as reluctance to move, crying or yelping when being moved or picked up, panting, or arching of the back. Your veterinarian may use one or more diagnostic imaging methods, such as x-rays, CT scan, or MRI, in order to diagnose IVDD and pinpoint the location along the spine that is affected. Once diagnosed, the goal of treatment is to relieve the compression of the spinal cord which may include surgery. Conservative medical management could also be considered, which may include use of steroids, strict cage rest, and pain management medications. Acupuncture and laser therapy can also be beneficial in IVDD case management. However, your veterinarian can guide you to the best course of action for your pet depending of severity and duration of the clinical signs. Prognosis also depends on severity and duration; usually, the faster your furry companion gets treatment, the more likely they will be to recover. Regardless of the treatment plan, rehabilitation can aid in faster recovery from IVDD. Rehab aims to improve the communication between the spinal cord and the nerves in the affected limbs (most often the hind limbs). We can accomplish this by increasing the sensory input to the nerves via structured exercise, laser therapy, and acupuncture. Increasing the sensory input can help to strengthen and regenerate nerves. Another goal is to strengthen the affected limbs (especially if there is muscle loss resulting from disuse) and to strengthen the core muscles. 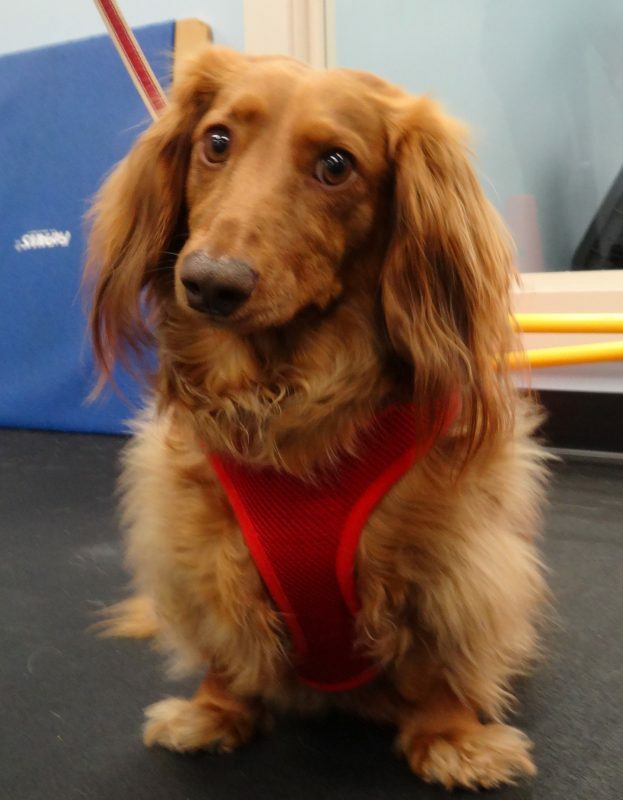 The core muscles provide a great deal of support for the spine, so making sure those muscles are strong is an important step in rehabilitation for IVDD. Of course, every patient will recover at their own rate, so we tailor our rehab plan so that it is specific to each patient. IVDD can be a scary diagnosis for owners, but there are many options at a veterinary team’s arsenal to help your furry friend through the process. Prognosis will depend on the severity of clinical signs and how long these clinical signs have been present. Rehab is a wonderful tool for these cases and can help our patients recover more fully compared to surgery or conservative management alone. There is no greater joy than to do what you love and bring happiness to others along the way. Our animal companions do that for us, so we do rehabilitation therapy for them. 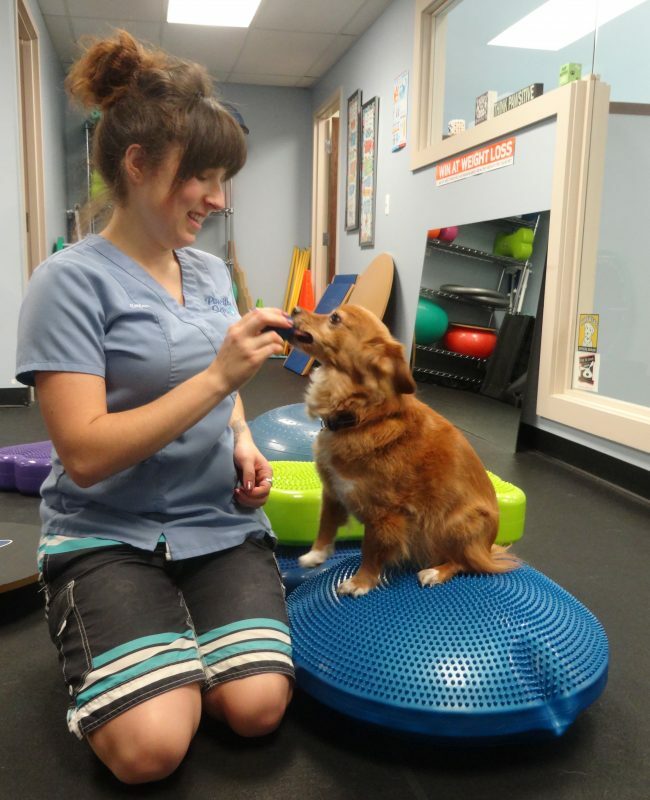 Initial consultations and rehabilitation therapy/physical medicine appointments are scheduled by appointment only, with referral from your primary veterinarian. Appointments are available Monday through Friday. Monday: 8 a.m. – 4 p.m.
Tuesday: 8 a.m. – 7 p.m.
Thursday: 8 a.m. – 7 p.m.
Friday: 8 a.m. – 3 p.m.